Getting super excited that we are nearly at the 12 week mark! I did however have the worst abdominal pain in the week which kept me up one night, it was awful and I was really worried. I called the EPU but as my 12 week scan is scheduled for a week Monday they advised that I should wait for that. I have a very busy week coming up at work and really wanted to be sure that all was okay with the pregnancy so booked a private scan at the Baby Scan Studio in Ashford which cost about £60. I am so glad that we did as not only were we reassured everything was okay, we also had about 15 minutes to look at our healthy baby kicking it’s legs and stretching. We could not believe the amount it has grown since the last scan, it was truly incredible to see. 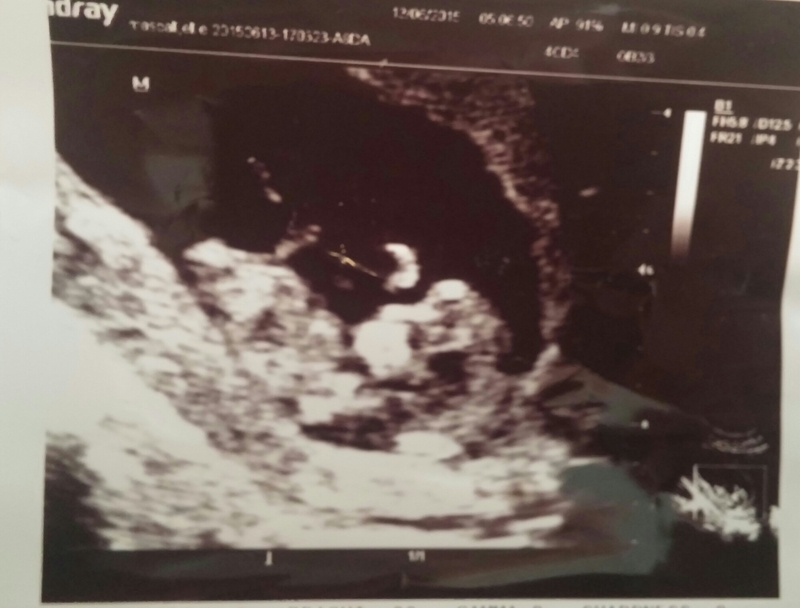 The lady doing the scan showed us all the limbs, the beating heart and we even got a photo of the bottom and legs in the air when the baby was wriggling about. Just for fun we asked the sonographer to guess the gender and she said due to the position of the nub, she would lean every so slightly to TEAM PINK! Chris is still in denial though and is determined it will be a boy! Either way we don’t mind, it’s just a bit of banter between us. The feeling I had after this scan was not only one of relief but I was feeling so happy and excited, the pregnancy finally started to feel real. Previous Morning shakes to wake me up!